Our free standing double commercial carport gave our customer premium coverage and potential storage space, and great value for money! 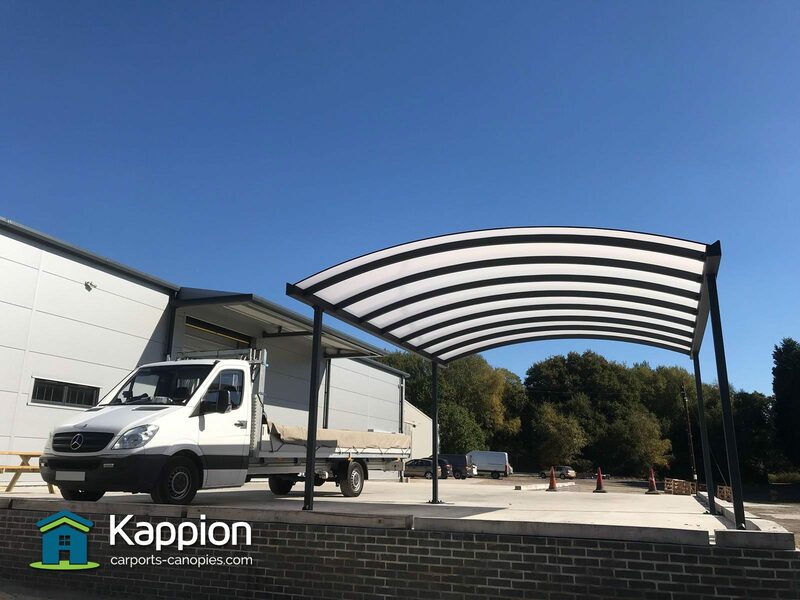 Our customer at JIS Europe approached us wanting a wide carport to be installed next to their commercial building in Uckfield. 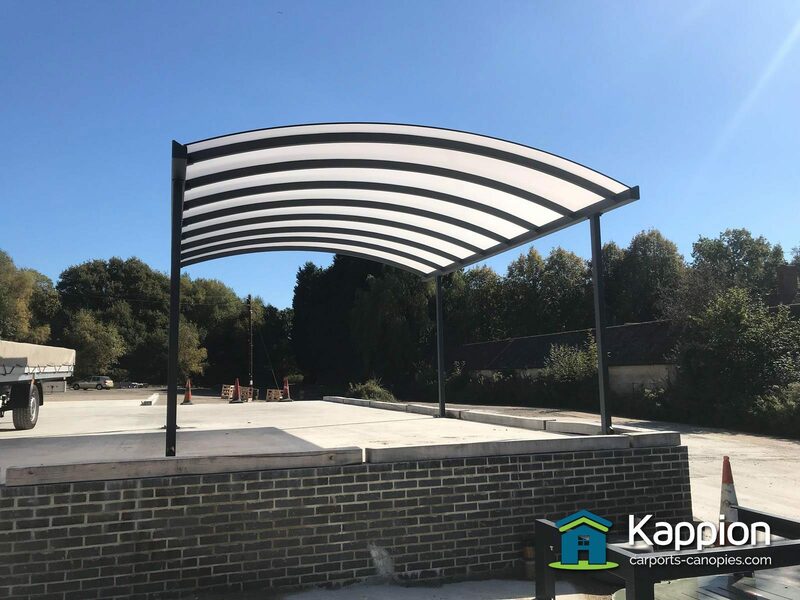 Firstly, whilst aesthetics were not at the forefront of the project, our customer still wanted the commercial carport to be high quality, as well being structurally sound. Furthermore, our customer wanted to go with a carport supplier that had a great reputation regarding customer service, one of our strong points. As we project manage, design and fully install the commercial carport, our customer’s know that they do not have to worry about a thing. Once the dimensions had been agreed, our customer signed the final drawings off and asked for the structure to be powder coated in Anthracite Grey (RAL7016), which looks modern and contemporary but also corporate in a sense. Whilst the colour looks contemporary, there are a total of 1,625 colours that our canopies can be powder coated in. Our customer chose Opal polycarbonate for the roof glazing which would compliment the colour of the structure extremely well. Once a manufactured delivered date had been confirmed, the installation team arranged a suitable date for the canopy to be delivered and erected. 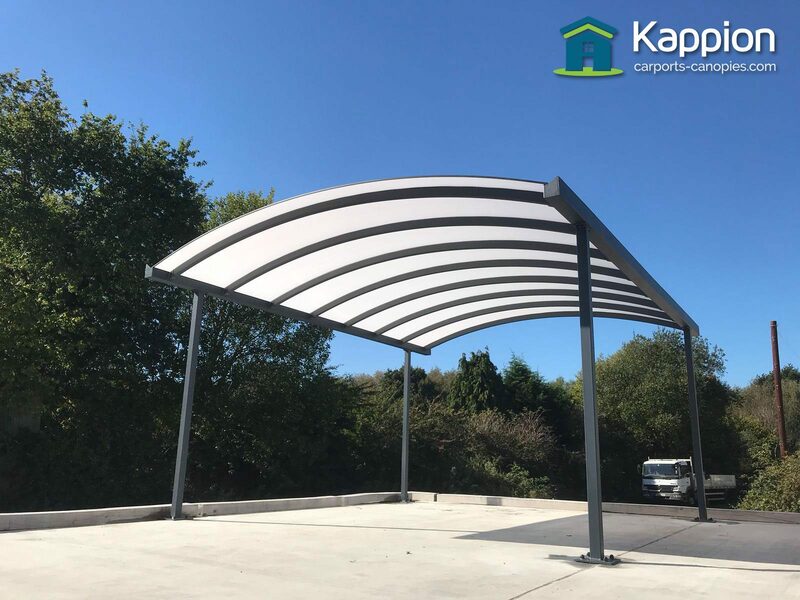 Finally, installation of the commercial carport was extremely straightforward as the structure was bolted to a concrete surface and by the end of the first day, the canopy structure was in place and fully glazed. After a final wipe down and inspection with our customer, the job had been completed and expectations were met.